Subscribers receive up to 27% savings over individual ticket prices. Subscribers are guaranteed tickets for the best seats to all performances. You get to purchase tickets to special events before they go on sale to the general public. Subscribers don't have to wait in box office ticket lines. Subscribers enjoy their own select seats for the entire season. Subscribers receive invitations to special receptions. Misplaced or forgotten tickets can be replaced at no extra charge. significant savings off of single ticket prices. exclusive savings on all performances, advance notice for tickets on special events and up to 27% savings over buying individual tickets. Order by phone or mail the form below to purchase season tickets. More Benefits for Season Ticket Subscribers! 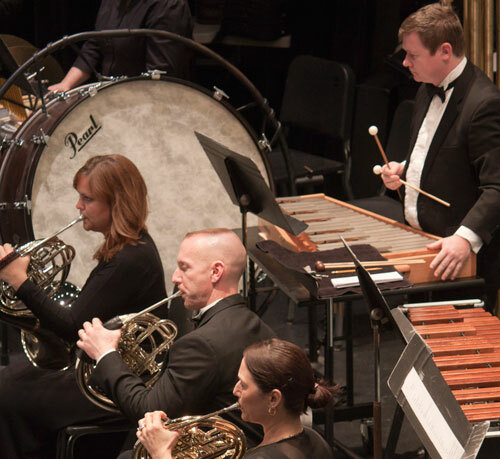 Wilmington Symphony subscribers will receive a complimentary season ticket for the Wilmington Symphony Youth Orchestra.